Porcelain berry bowl with a purple ombré pattern and a light purple matching saucer. It is dishwasher and microwave safe. It holds a over a pound of strawberries or a similar size serving of any fruit or vegetable. 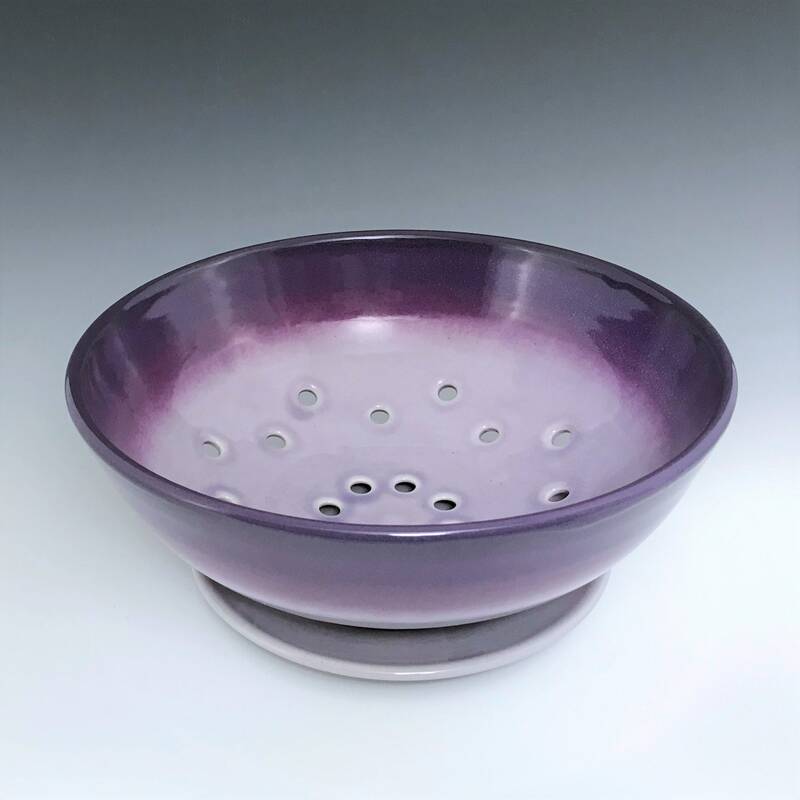 The bowl has two dozen holes to drain the water and air dry the contents. Use with the matching plate as a decorative fruit bowl on your counter or table. Size: Bowl Height 3" Diameter 8 ½"; Saucer Height ½", Diameter 6"